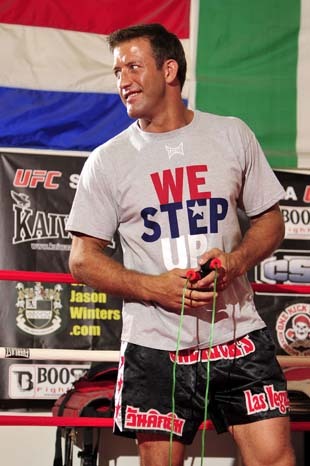 Though Stephan Bonnar has UFC 153 and Anderson Silva on his mind, he has another concern when he's in Brazil this week. Bonnar's wife Andrea is pregnant and due at the end of the month. Since babies are born on their own schedule and not the UFC's, Bonnar has a contingency plan ready to go for the event Andrea goes into labor earlier than expected. According to Yahoo! Sports' Kevin Iole, UFC president Dana White has offered to fly Bonnar back to his home in Las Vegas immediately after the fight with Silva in his private jet. Bonnar took White up on his offer, but the Bonnars still have another plan in place, according to TMZ. Andrea says Stephan?plans to video conference in to his wife's birth if he can't make it in time -- but she adds, "We're trying to avoid even thinking about that." Their son's birth will be forever connected to Bonnar's last-minute fight with Silva. After featherweight champion Jose Aldo's injury threatened UFC 153, Bonnar stepped up to fight Silva, the middleweight champion and pound-for-pound king at light heavyweight. There is a chance their son will be connected to Bonnar's most famous fight, as well. As Iole also mentioned, Stephan and Andrea are considering naming their son Griffin Bonnar in honor of the Bonnar-Forrest Griffin bout at the first "Ultimate Fighter" finale.